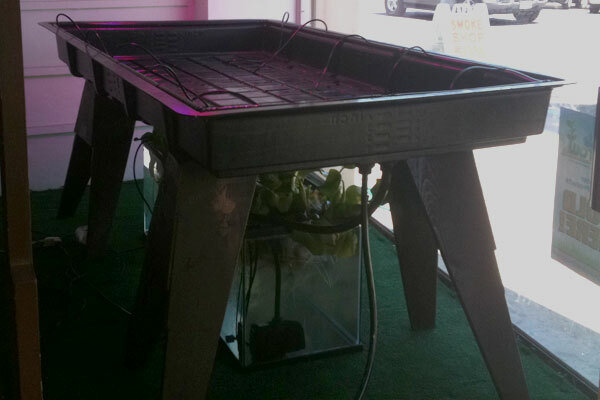 Recently one of the Hydroponic & Garden Supply stores in our town asked us if we would put an aquaponics installation in their store. Because our goal is to share the information that we have learned over the years with as many people that we can, we felt that this would be a good way to get the word out in our neighborhood. We decided to work with what they had available in their store so that their customers would be able to set up a unit on their own. Because they are a Hydroponics Gardening store, they had pretty much everything that we needed in stock. 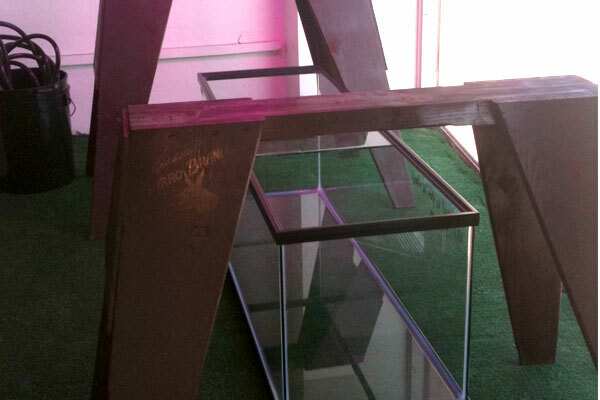 We decided to use a clear glass 60 gallon fish tank for the fish reservoir. I don’t necessarily recommend this due to the amount of exposed light in the water, and the potential for intense algae growth, however this is a display and it will be great for people to get the whole grasp of what is happening. They will just need to clean the tank more than average. Next we set up some toggle horses that will support the grow bed. After we got the fish tank and grow bed in place we added water to the tank. I also added some water hyacinth from one of my ponds, as well as about two gallons of pond water to start filtering into the system to kick start the needed bacteria growth for the plants and fish. 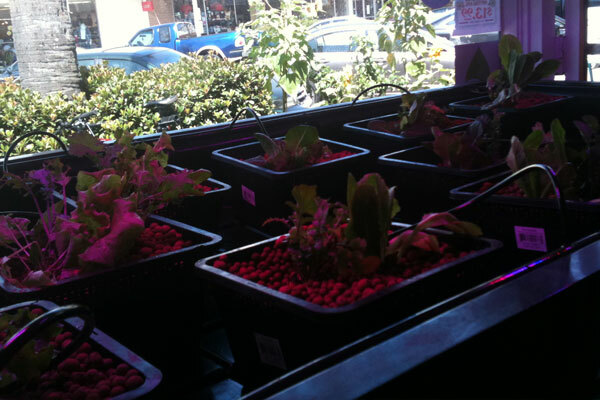 On day two we cleaned out the hydroton that will be used as the growing medium for this unit, and installed an assortment of different greens that will make wonderful salad mixes in a few weeks. On Day four we added four goldfish to the system to start setting the bacteria levels for the system. If all goes well we will be adding some Tilapia to the system in the next couple of days. 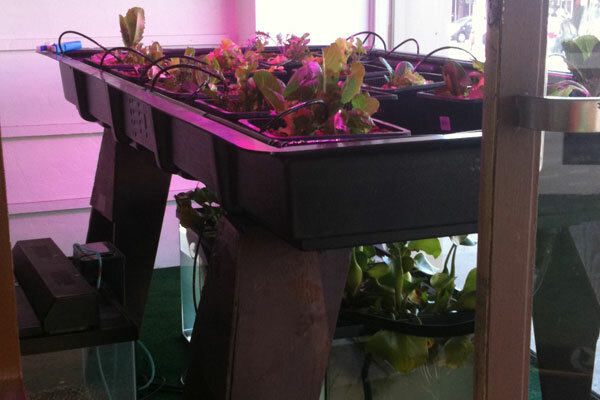 Check back for more updates, and if you live in San Diego, stop by Green Lady Hydroponics on Newport Avenue in Ocean Beach to see the set-up. “Lectins can bind to the sugars found on different spots of the HIV-1 envelope, and presumably it will take multiple mutations for the virus to get around them. The time of germination does vary and will depend on several different factors. On the flip side, ripe bananas – due to their high content of fiber – can help the bowels move through the intestines.